[HollywoodInvestigator.com] A common theme in Hollywood films and TV shows is the danger of "selling out" your values to "make it" in life. If it's a horror film, that theme is often conveyed by the characters literally selling their souls (e.g., Shock 'Em Dead, Chain of Souls). That's what happens in Soul Killer, though the film is not so much horror than a spiritual thriller. It's not scary or atmospheric, though people do die. Its tone and outlook resemble another low-budget spiritual thriller, Divination. Natalie (Kelly Chambers) has failed to advance in her advertising job, despite arriving in Los Angeles ten years ago. (This implies that Natalie is in her early 30s, but Chambers looks younger.) After losing a promotion to her assistant -- who's slept with the boss -- Natalie decides that from now on it's no longer Ms. Nice Gal. She too will play dirty, sleeping with clients and waging war against her co-workers ("You're going down!") to advance her career. 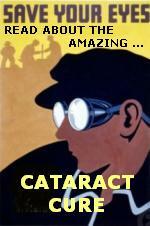 Then a masked man -- invisible to all but Natalie -- starts killing her co-workers, and Natalie realizes they paid too dear a price for success. And now that she has sinned too, will the masked killer come for her next? Soul Killer posits a confused theology, blending Christianity with New Age occultism. Natalie reads the tarot, and draws advice from both her Christian roommate and a pagan shopkeeper/good witch. 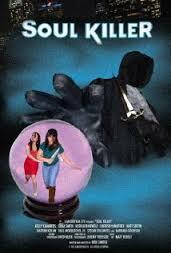 The latter informs Natalie that the masked man is a "soul killer," a spirit who collects payment for the devil. "Devil" and "sin" are odd words for a pagan to use, yet she says them -- even as she teaches Natalie how to astral project, which is an effective way of "destroying" a soul killer. That too is odd. What would be the point of "destroying" a soul killer? People will always die and go to Hell if they're damned, soul killer or no soul killer. The best I can figure, "destroying" a soul killer means returning him to Hell, thus buying time for his targets to repent. Natalie tries to convince her boss to do just that. 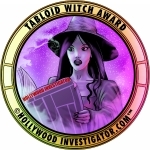 "The film has a lot of pagan elements, but it's essentially Judeo-Christian in its leanings," said writer /director Bob Canode to the Hollywood Investigator. "I listened to a lot of Stevie Nicks [while writing the script], who borrows a lot of pagan elements for her songs and videos. I always thought of the shopkeeper like Merlin, who straddled both pagan and Christian worlds. Natalie's roommate, Hope [Kathleen Newell], is a paragon of Christian morality. 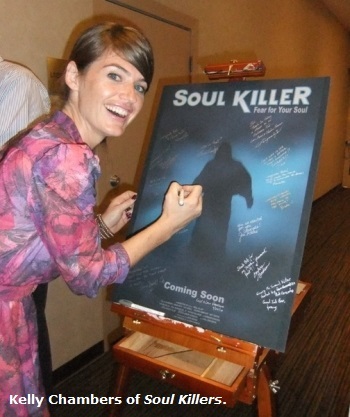 "Soul Killer is a morality play, like a lot of horror films. Sure, I don't think people should sleep their way to the top. People should succeed on their achievements. That's a universal message, not just conservative. "There's a larger message about the workplace. About company loyalty to employees, or lack thereof. How a company's culture, set by those at the top, affects those at the bottom. "The crux of the film is when Natalie says to Shannon (Erika Smith), 'Do you think this place is turning us into bad people?' Natalie wants to walk away from her job, but she's too stubborn. Pride won't let her. She wants to succeed." Apart from Stevie Nicks, Canode cites comic books, Halloween, and TV's Buffy the Vampire Slayer as influences. I can see the Buffy. That show wasn't scary, or even horror. Rather, it was part fantasy thriller, part teen drama. Soul Killer is part spiritual thriller, part workplace drama. Soul Killer is enjoyable enough, though not without problems. The script has no subtext. The dialog is obvious and "on the nose." Characters are always telling us their beliefs, motivations, intentions, and frustrations. Some of that dialog could have been trimmed, and what's left, made more oblique. More showing, less telling. The pace should be quicker, especially in the exchange of dialog. Some of the talkier scenes drag, the conversations drawn out. Actors are savoring moments that need not be savored. Granted, this is the director's fault. With a tighter script, and quicker pacing, the film could be 15 minutes shorter, give or take, without losing anything. Soul Killer's cast is decent, neither exceptional nor terrible. Mostly youngish, low-budget actors, still learning their craft. Some are a bit wooden. Barbara Goodson (the shopkeeper) manages to be stiff even when chewing scenery. Canode says he wanted the actors to "look distinct from one another, so the audience never confused them." In that he succeeded. Kelly Chambers's credits include Canode's short film, Auteur, and Damon Packard's mondo-bizarro feature film, Reflections of Evil. Canode says that Soul Killer was shot on an Arri-SR3 camera with super-16 film. That surprised me. Visuals are sharp, including the night shots, but the film often has a flatly-lit, video look. Soul Killer was edited on Final Cut Pro. "The budget was pretty low, as Soul Killer was self-financed," says Canode. "I wanted to write and cast it my way, which I couldn't unless I controlled it. I couldn't afford to shoot all at once, so I treated it like six short films. I would save money, then film part of the script. Between each shoot I would edit the scenes, scout new locations, cast more actors, storyboard and prep for the next shoot." That's also how Jim Jarmusch shot Stranger Than Paradise (the film that, more than any other, sparked the indie film movement). Jarmusch treated each scene as a separate film (done as a single master shot) over the course of three years. It's why every shot/scene is separated by blackouts. Canode had a backup plan if he couldn't afford to finish Soul Killer. "I figured if it all fell apart, I could use the footage to create a trailer to sell the script." Soul Killer was shot "in and around Los Angeles. North Hollywood, Sun Valley, Tujunga, Winnetka, Hollywood, and in a dry lake bed up in the desert. The opening scene was on the Sunset Strip. No soundstages, with the exception of the morgue, were used." After a long production, Soul Killer faced a hard path to distribution. While the IMDb has 2009 as its year of completion, it's only now being released on DVD. "Producing an independent feature film is like running a marathon," says Canode. "And distribution is like running another marathon after the first. And at the indie level, it's all on you, the filmmaker. "I got told by a lot of distributors that Soul Killer was too original. They wanted vampires or zombies, something they knew was hot and could sell. They also wanted a 'name' to sell the film. Not having a big name, either producing or starring in a film, makes it harder for them to sell. 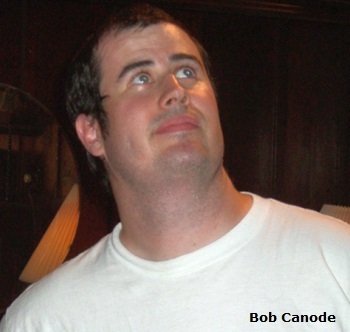 Canode is a USC film school graduate who works in home video. He credits UCLA writing classes and "DVD extras" with continuing his education. "Two of my favorite audio commentators are John Carpenter and Robert Rodriguez. They make filmmaking sound so accessible. Of course, once you get into it, you realize it's a lot harder. But by then, you've overcome the inertia. You're doing it."